THE Zimbabwean military's move to end Robert Mugabe's almost four-decade reign in 2017 sent jubilant crowds pouring into the streets of the capital hoping for better times after years of economic stagnation and repression. In the ensuing months, those dreams have been dashed. "Mnangagwa promised change; nothing has changed," said Boniface Tonderai, a 56-year-old vegetable vendor in the capital, Harare. "Now we aren't being just chased and beaten – we're being shot." Gunshot wounds accounted for 78 of the about 360 injuries last week, the doctors association said. That compares to fewer than 20 bullet wounds out of 12 500 injuries during election violence in 2008, said a senior human rights activist, citing information gathered by the campaigner's organisation. The activist asked not to be identified for fear of retaliation. "The beatings, the torture, the abductions happened under Mugabe," Norman Matara, a board member of the doctors' human rights association, said after presenting a slide show of photos of people killed or wounded by gunfire to reporters. "The thing that is new is the gunshot wounds." As he did when six people were shot dead during protests over his disputed election victory in August, Mnangagwa was quick to condemn the killings. He cancelled his trip to the World Economic Forum in Davos, where he planned to carry his message of a "new Zimbabwe" that's "open for business," and returned saying that if necessary, "heads will roll." Human-rights monitors say they aren't confident anyone will be held to account. No one has been punished after a independent probe of the August 1 violence headed by former South African President Kgalema Motlanthe said the use of live ammunition was unjustified and those responsible should be prosecuted. "The army is disciplined and professional and as there is no insurgency in the country, the army isn't shooting anyone," said spokesperson Overson Mugwisi. "Citizens should report criminal activity to the police or even to the Zimbabwe Defence Forces if they suspect soldiers of criminal activity so criminal elements can be dealt with swiftly." Unrest has spiked in recent months as the economy teeters on the brink of collapse. A scarcity of foreign currency – Zimbabwe adopted the US dollar as legal tender in 2009 – has sparked sporadic shortages of everything from gasoline to bread. Inflation, at 42%, is at its highest since 2008, when the International Monetary Fund estimates that it reached 500 billion percent. Last week's protests erupted after the southern African nation's biggest labour union federation called a three-day stay-away, sparking the worst rioting since at least 1995. The difference between now and Mugabe's time in office, human rights activists say, is soldiers, or at least people in army uniforms, are being deployed to deal with the unrest. Mugabe normally sent in the police. As the protests spread, Mnangagwa was on a trade mission to Russia and its neighbours before the planned trip to Davos. He left former armed forces commander Constantino Chiwenga, who's his vice president, to run the country. 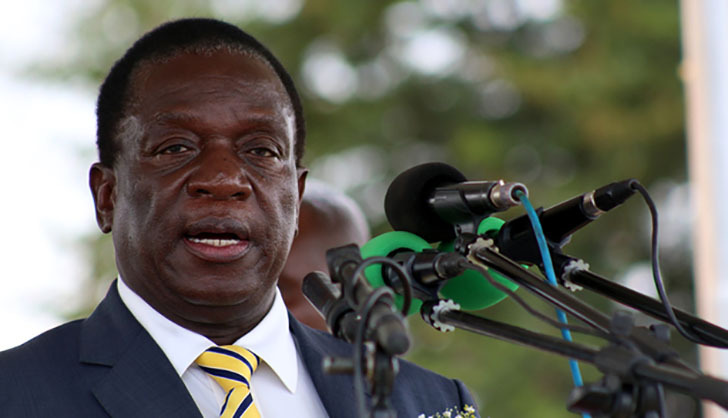 "There is a fundamental disconnect between the new warm fuzzy narrative of President Mnangagwa and the reality," said Piers Pigou, International Crisis Group's senior consultant for southern Africa. "This reflects certain challenges about who is in charge and whether President Mnangagwa really is in control of his security forces and the extent to which he has the backing of his party." The constitution says only the president can authorise the deployment of the military and even then he must consult with the cabinet and parliament, according to Hanzi. There's no provision for an acting president to do so, she said. "The difference between 2008 and now is that the violence and oppression is overt," said Pigou. "Its not being done behind closed doors, particularly the use of live ammunition, which we had not seen before August 1 in crowd control." For citizens like Tonderai, what's most concerning is the military precision of last week's crackdown. "These guys knew their targets, which houses to raid, which people to pull out," he said. "Mugabe used a hammer, these guys used a knife."